1) Have Volunteer Coordinator, Tom Patrick, share his passion and that of Moveable Feast with you. He began “helping out” over 20 years ago and continues to carry the mission of volunteer work at Moveable Feast forward. 2) Choose from several areas in which to commit your time. 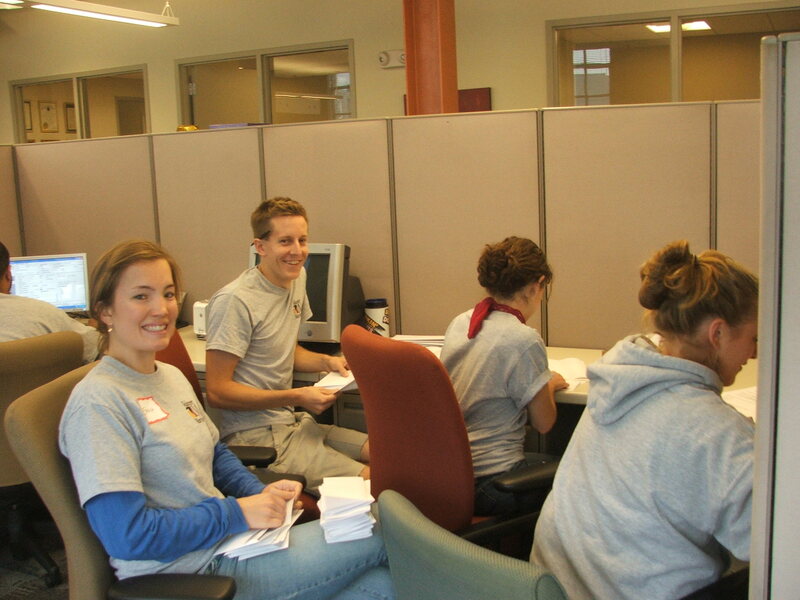 Our volunteers were divided between the kitchen, garden and office. However, it rained. . .and then it poured. No worries, Tom was quite masterful at finding alternative tasks crucial to the program. Because Moveable Feast’s volunteer procedures and position descriptions are clear and well-defined, the garden group easily took on other responsibilities including, follow-up phone calls and writing Thank You letters to volunteers. 3) Tom was adept at weaving our service that day into the rich tapestry of Moveable Feast history. We also received training in required procedures, were invited (recruited) to return for upcoming events and, walked out feeling like we had made a real difference. 4) If you’re interested in “tasting” Moveable Feast’s recipe for volunteering first hand, contact Tom and add yourself; groups are welcome! At the conclusion of our Service Day, the Volunteer Maryland Peer Leaders, Joy and I, facilitated small group discussions with the Volunteer Maryland Coordinators reflecting on what we had learned at Moveable Feast. The reflections acknowledged the importance of including flexibility, humor and structure in a successful volunteer program. Each group prepared a demonstration that symbolized their experience. The demonstrations included group spoken word, ingredients to build a volunteer cupcake (Did you wonder where I got the idea for this post?) and a family convincing reluctant teenagers to get involved in service. 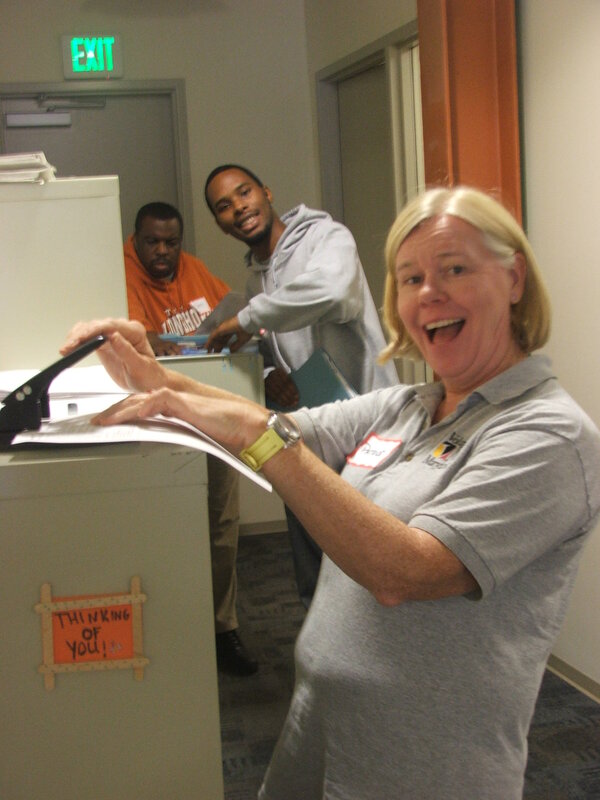 This opportunity gave the Volunteer Maryland Coordinators personal practice in a successful volunteer experience. Now, they are putting this process into practice as they recruit and manage volunteer programs at their Service Sites. View all posts by Barb C.